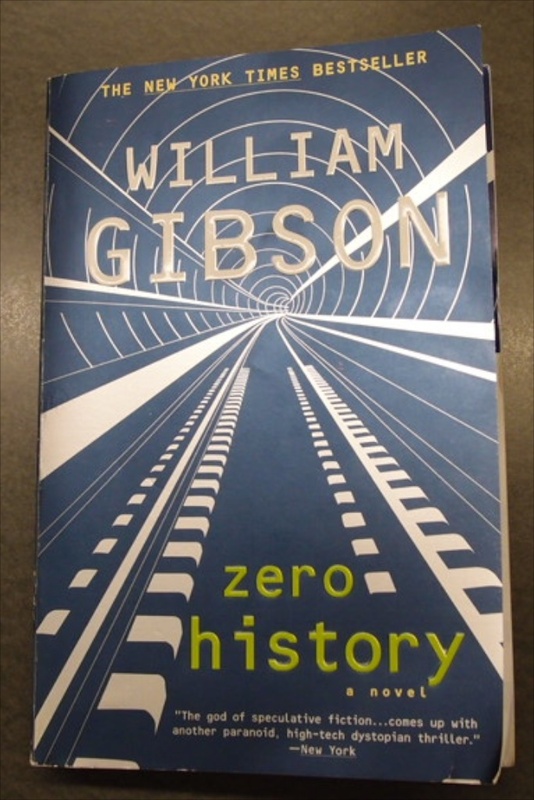 Today, as I looked around my room at the excellent Extended Stay Hotel in Scottsdale (I didn’t link because their site has no images; it is a booking service only), and on the way out to my office (the Starbucks at B&N, of recent renown), I saw my copy of the also excellent William Gibson novel, No History. Reading a novel by the inventor of the word “cyberspace” and then writing about it here is just about enough conscious recursiveness for one day. Anyhow, I had just finished reading it, and thinking about it, realised that I did not want to take it with me to Chattanooga, my next stop. What to do? There are no second-hand bookstores near the hotel, as far as I have noticed. Then I recalled that there was a tiny glass-fronted cabinet near the front desk (and above the very handy shared printer) where a few paperbacks could be seen. None had interested me, but how would the next guest regard this pristine copy of No History, I wondered? 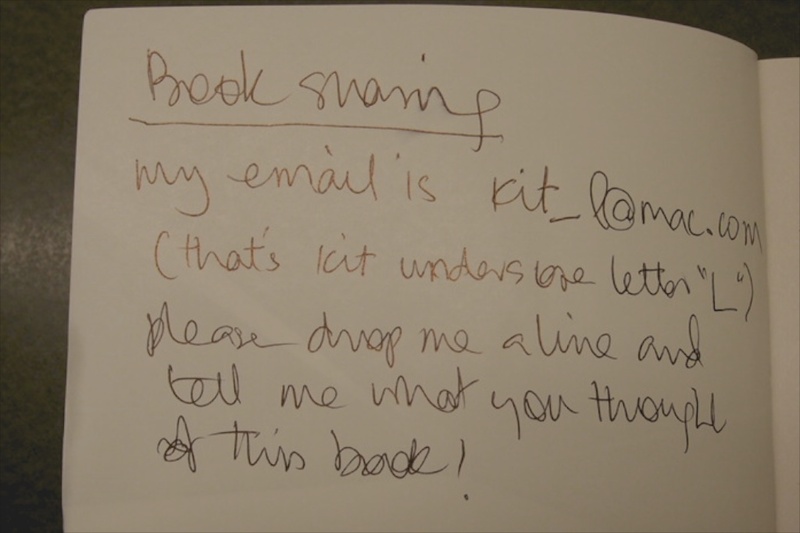 If this works, there will be millions of interesting books left wherever we go, and we will be able to satisfy the first tenet of the green movement: reuse. Bring it on. Could this work? 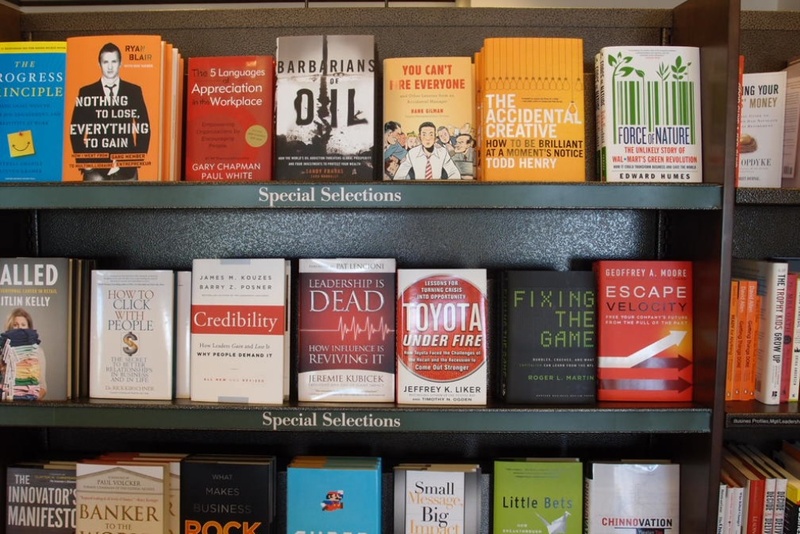 Let me know what you think, or suggest a better plan for a worker/traveller who does not want to be weighed down, but who loves reading books, and who wants to find good books waiting at the next venue! Left book #2 this morning, on my way out of the ESH: I sense momentum building here! This one has a very different flavour: Thereby hangs a Tail, by Spencer Quinn—one day I am going to write a mystery with a cat as the central character. The original book in the Bernie and Chet series gave me this idea. Will dishwashing liquid double as laundry detergent? Why not? Both are surfactants, after all. I bought the one that is cleaning my clothes as we speak from a store that was liquidating; it seemed fitting. And it is made by Organic and Nature, and does not contain the usual list of baddies (phosphates, nitrates, NTA sulfates, nor anything caustic)—and it’s ‘grapefruit’: clearly hitting home runs, here. Will it clean my clothes? We will know by the end of this post. Why am I not using laundry detergent, you might ask? 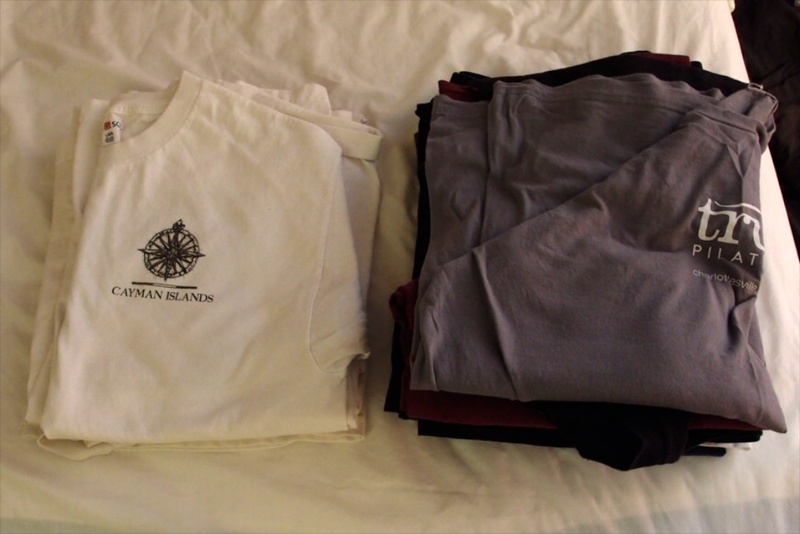 In pursuit of refining the ‘two suitcases and a MBA’ way of life: if I am moving every few weeks, and I wash clothes once a week, then I will be buying, and leaving, laundry detergent at each location; hardly sound, ecologically. And if you have looked recently, you just cannot buy small containers of detergent (and powders often don’t dissolve; nasty result). The water is very hard here, too, and that means powders are less likely to dissolve completely. No, liquids are the way to go. Anyhow, that’s the context of all the empty spaces for rent here. I will rescue the washing, and answer the opening question, in just a moment. The answer is: perfectly. And there’s the faintest hint of grapefruit—or is that wishful thinking? Apologies to George Gurjieff and his wonderful book of the same name, but this week I met a truly remarkable man myself, Dr Jeffrey Maitland. As well as that somewhat older site, he runs the thoroughly modern Mind, Body, Zen site, too. In addition to being an ex-professor of philosophy (his thesis concerned the great Immanuel Kant), he was a phenomenologist when that term usually brought the user into philosophical disfavour, he left academia after qualifying as a Rolfer (after Dr Ida Rolf) ; he is now one of the most highly qualified practitioners of this somewhat secretive art/body work form. But for me personally, it is Jeffrey’s long schooling in Zen, one of the sects of Buddhism available in the world today, that is most compelling. Two of my other influential teachers, Lawrence Graziose and Patrick Kearney have followed similar paths; it has been the enduring element of my own journey (which reminds me of the title of Andy Warhol’s best-know book, From A to B, and back again! ), too. The confluence of rigorous training in all three disciplines has give Jeffrey a remarkable platform from which to orient in daily life. He has a huge heart, mordant wit, remarkable intellect and a knowing/understand of breathtaking width—and depth. I am very grateful to have met him, and to have had the privilege of being worked on by him. Thank you. Today, and most of this week, the Barnes & Noble Starbucks cafe has been my mobile office, and very pleasant it is, too. 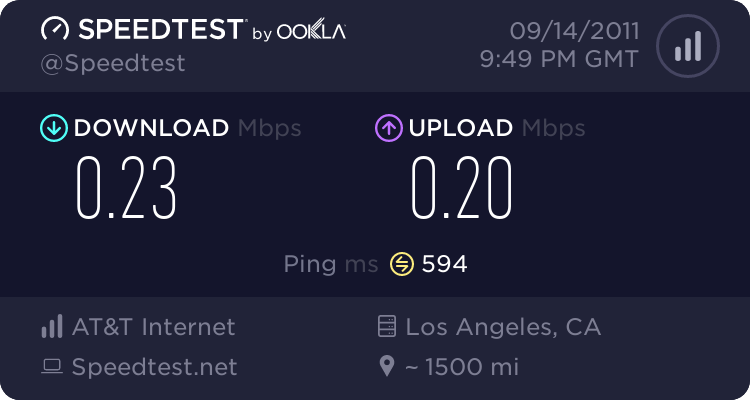 I note in passing that the B&N site takes forever to load, even though the cafe has a reasonably fast connection (well, I just tested it: glacial today, actually, with a 594ms ping, and the rest you can see here). 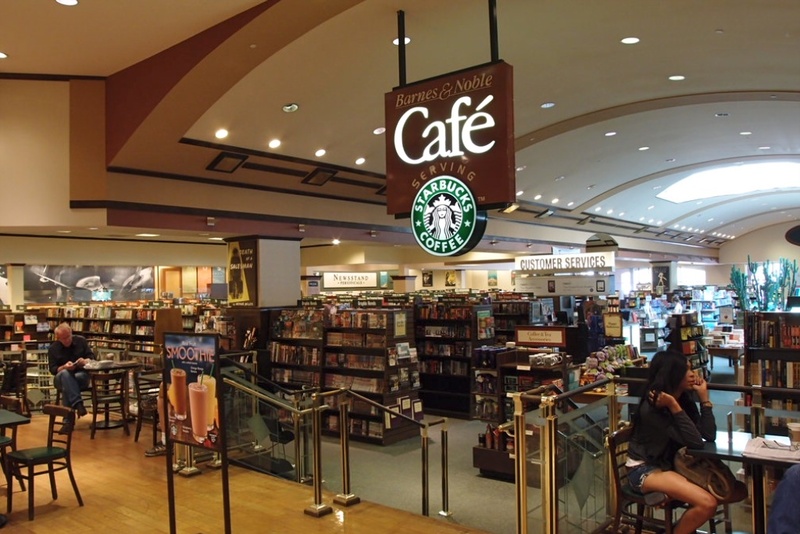 Strangely, a search on B&N’s own page for this very place—co-branded “Barnes & Noble Cafe, serving Starbucks coffee—cannot find the cafe itself, only books about Starbucks… You have to laugh. To my right (see the MBP?) 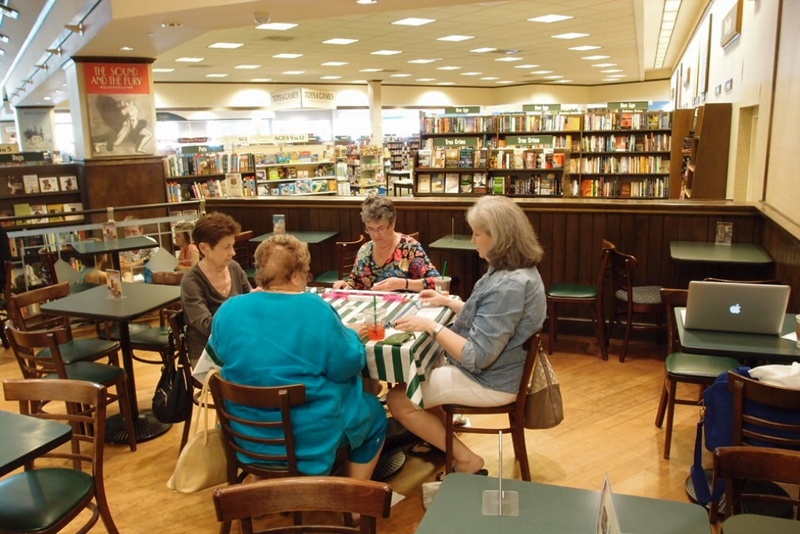 are a group of women playing some card game con brio; and opposite are another foursome playing Mahjong; they seem in competition with each other, somehow; all of this in a huge and lovely store. 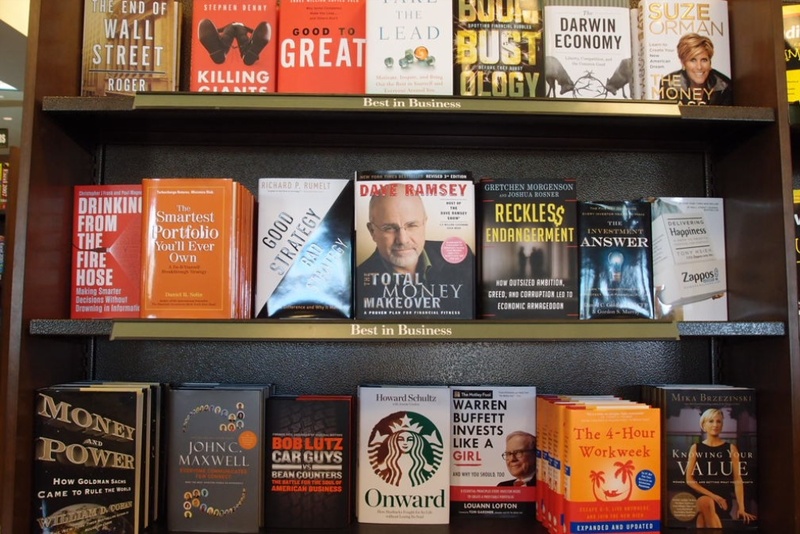 I always feel comfortable surrounded by books. Olivia, my partner and partner in the business, actually talk to each other more, and in a more concentrated way, when I am on the road than when I am ‘in residence’ in Kambah. Though we often have to remake the Skype conversation a number of times, there are no distractions, and the conversation is always welcome—contrast this with when I walk into her office when she is concentrating on a coding problem to do with one of her websites… All of this makes me think about how ‘work’ has changed hugely in the time I have been working. I jokingly write “Two suitcases and a MacBook Air” in the ‘location’ fields of various groups I belong to, but there’s more than a kernel of truth there. The technology has become sufficiently complex to allow me to write/edit a book project, working together with lo-rez catalogues of all the 3,000+ relevant images (each with discrete file names; the electronic publisher has the originals, sent on a super-cheap UBS 1TB drive, sent interstate last week); I can shoot and process excellent images with the best of today’s high-end pocket cameras and post these on galleries held in the Mobile.Me cloud (but not after June 31, 2012), and this same camera will shoot 720p hi-rez video—and it interfaces with a pro-grade wireless microphone and transmitter-receiver setup (all smaller than a pack of cigarettes, if any of you remember how big they are) so I can get really high quality sound (the scourge of most YouTube videos). The resulting footage can be edited on Final Cut Pro (the old pro version, v. 7, and not the toy FCP X that was released with such fanfare a few weeks ago). And from this same Starbucks, I can upload that footage to Vimeo (if it’s something for the forthcoming App; more about that in another post), or to YouTube (I hope to shoot something at Coach Sommer’s Xtreme Gymnastics facility tomorrow, though I don’t have the wireless mic. with me—it’s waiting at Sydney’s Chattanooga venue, for when I get there). All these functions are performed from the centrepiece of this technical marvellousness: a relatively heavy 15″ MacBook Pro. All required apps are found thereon (should that be therein, I wonder? ); and for editing I use a set of studio headphones. I can upload via the excellent Transmit; email or Skype Miss O from the same machine; create mind-maps for upcoming projects with the free-and-fantstic FreeMind; the list goes on. This flexibility; this capacity to create, has literally been enabled by this technology. Once I get to Sydney’s, I will shoot and voice a test video and post here; if I get something interesting from Coach Sommer’s facility I will post earlier—but we are looking at the future, right now. If anyone is interested, I will post on the details of how a tiny pocket-sized camera with a few add-ons can do a completely acceptable job of making high-quality videos. As for the computer, I brought the MBP with me rather than the MBA (11.5″) because of the screen real estate and because it has an optical drive built in. If Apple does come out with its rumoured 15″ MBA, it might be the end of the road for the current 15″. Or I might back-size to a later-model 13″ MBP: optical drive and less power (the current 15″ MBP is the faster of the quad-core models, with an OWC SSD) because they are significantly lighter—and on the four-mile walk here from Jeffrey’s office, that extra weight makes a difference. We are not sure what’s happening with Apple Mail (it cannot find its own SMTP server, if you can believe that! ); I have been off Apple’s core in-OS app for over a WEEK. People are screaming on the forums; businesses unable to access business emails; IT guys apologising for recommending Apple, etc., etc. The suspicion is that the problem is tied to the new iCloud that’s coming in in a month or so, and the fact that Mobile Me is being phased out (including that on-line gallery function I use all the time for my photography clients) and it’s not being replaced by an iCloud version—and all this for customers like myself who have happily paid for a MobileMe account since it began. Not good. But, it gives me a reason for testing apps like gmail (I have always had an account there because you can’t have a YouTube channel without one); it seems to work just fine. I simply set mail forwarding from my dot mac account. And so I thought I’d test the calendar function—I am software neutral: if it works (or works better) I’ll switch. People may not be aware of this, but there seems to have been a dumbing down of both the OS with the switch to Lion, and the release of hitherto “Pro” apps like Final Cut Pro X. The week, Apple took the absolutely unprecedented step of re-releasing the old (my current) version of FCP, even though officially it has been superseded by Final Cut Pro X—which has been pilloried by the pros. No one in the film and/or television world has switched—and that’s because despite the name, it is an upgraded version of the consumer program (whose name I forget) and a massive simplification of the very complex program that FCP 7 is. Interesting times. Apple still makes the best hardware, but with its core app, Mail, not working, and Lion bringing a sense of the iOS in, with various folders being hidden, etc., and all the gestures you can now use on the trackpad, and its flagship program utterly panned by pros who have literally built whole business around this software, we may be seeing a sea-change in the world’s most profitable company. I have never seen criticism of any of Apple’s past direction changes like this before: it looks as though Apple just wants to focus on iPads, iPhones, and the hardware (like my many laptops!). Many of us hope this is not true, but there are no comforting sounds audible from Cupertino. This blog, sometimes ‘vlog’ (I don’t much like the term “blog” for some reason; there is something inelegant about the term) will be an occasional event; thoughts from a “two suitcases and a MBA” lifestyle. I will write on things to do with technology, with advances in Stretch Therapy, ideas about the Monkey Gym and anything else that I am thinking about that, I hope, might be interesting to you. Please visit the Stretch Therapy Forums, too: anything you post there can be discussed by any of the members—and if you have a question, much more likely to be answered quickly there. At this point, the vlog is ‘in development’; there is much to learn with a new complex software, and I want to change the banner image regularly—this lovely image is courtesy of WordPress. As well, don’t ignore the main site; Olivia is updating this constantly. We are building a new one too, with many practical improvements, including an on-line registration system. Enjoy, and email me with suggestions for anything you’d like to see here.